HomeWhat I discovered from LEGO City: Volcano Starter set: LEGO is a responsive company. What I discovered from LEGO City: Volcano Starter set: LEGO is a responsive company. A Lot of Discussion has taken place this year about the representation of society’s diversity in LEGO sets. 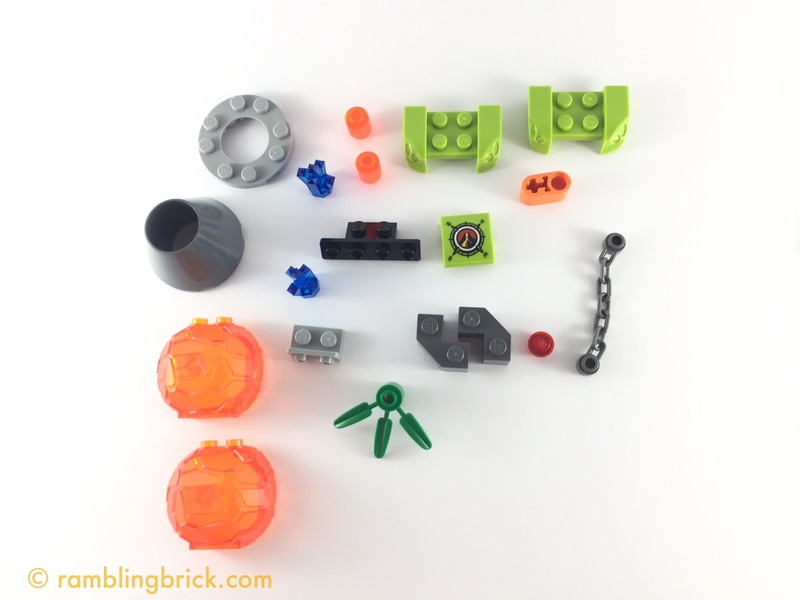 A good deal of this has been centred around set 60134: Fun in the Park. At $AU55 it represents 14 mini figures: equal numbers male and female, and one baby. There is also a stroller, a wheelchair and a bicycle. Figures are represented at a number of ages: young children, older children, young married couple (Are they married?, are they even a couple? Is it their child in the stroller? So many questions. Things used to be so simple! ), and older people, as well as some grounds keeper/park maintenance staff, both women, and a hot dog vendor. But I don’t want to talk about this today. 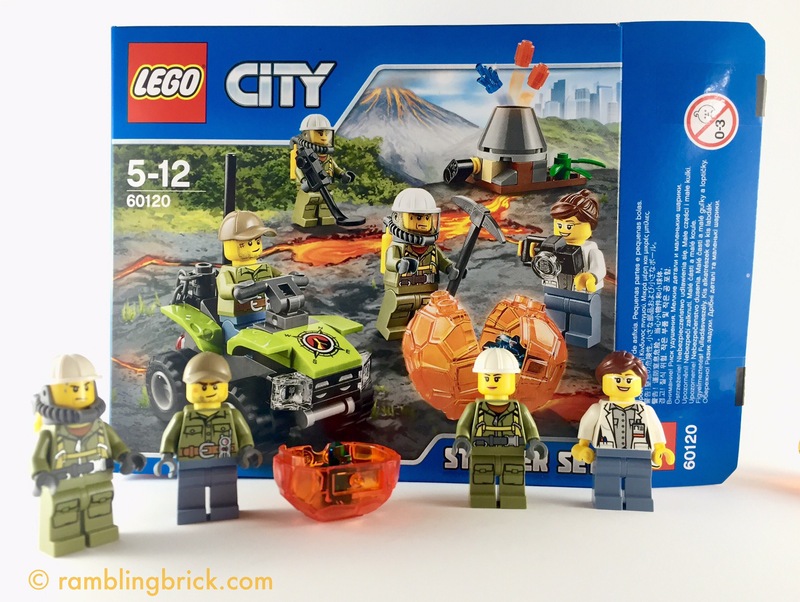 Also recently released are the new CITY Volcano sets: a combination of volcano adventurers, scientists and ‘volcano workers’ whom I presume to be scientists in safety gear. The thing that caught my eye about this set ahead of anything else was the mix of minifigures: two male and two female. There is a scientist ( designated a woman, a quick head swap could change this, but why would you want to?) a ‘volcano adventurer’ , and two volcano workers: male and female. The set was available for $AU10, although the list price is $AU15, at a major department store. As well as the mini figures, there is a small lime green quad bike, for hauling immovable rocks via its tow chain. The 2x2x2/3 curved slope at the front is printed with the volcano adventurer logo. A small volcano with a simple launcher mechanism spews lava and blue crystals into the air with a simple flick. There is also a large trans orange boulder, with a crystal hidden inside. Looking at the mini figures, they all feature single sided heads, and torsos with detailed double sided printing. The volcano team are in olive green tops, and detailed trousers, whilst the scientist and ‘adventurer’ have unadorned sand blue legs. There are a variety of accessories for the figures to use including a camera, a metal detector, a pick and a walkie-talkie. There is great scope to swap the heads around, to alter the roles of the men and women on the team. A second cap would have been useful to allow the two women to have been able to work in the hazmat suits, and have the men in the other roles. Although, there is shading to suggest a female figure on the lab coat. This should not deter and male mini figures from wishing to put it on though, should they wish! I appreciate the way that this set actively depicts women as scientists and working in an adventurous environment. Closer examination of the shop shelves revealed a relatively high female: male ratio in the volcano sets. In fact, ten out of twenty seven figures in the Volcano sub theme are women. There has been a call for years for a greater representation of women in STEM (Science Technology, Engineering and Mathematics) in LEGO. In 2014, the release of the LEGO Ideas Research Institute (21110), depicting three women of science at work, was thought to be a great step forward. In conclusion: This is a great set, especially at the $10 purchase price at Kmart in Australia this week. The builds are simple, but the play features are remarkably effective. 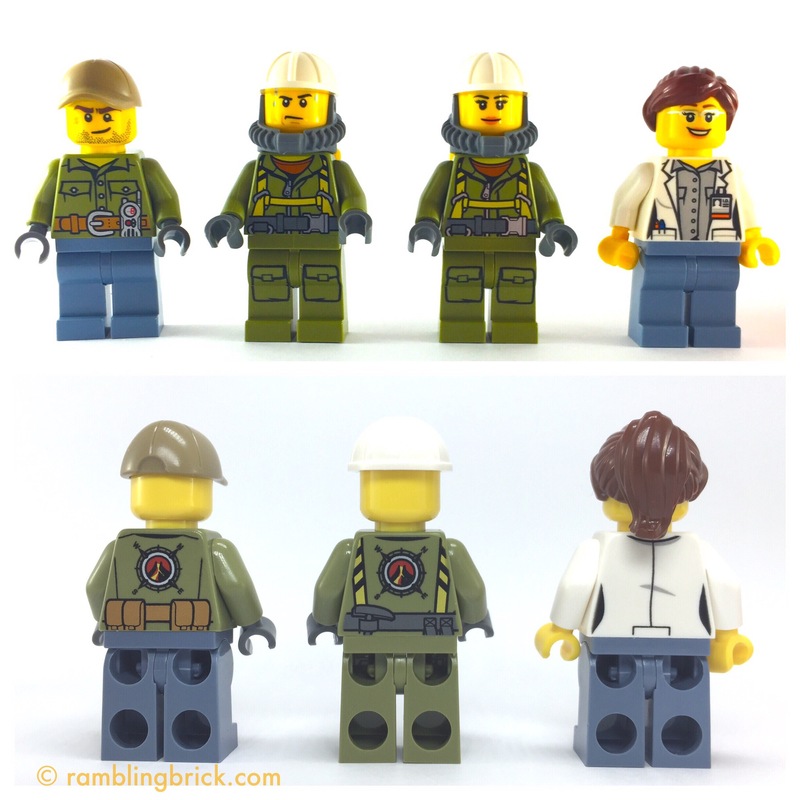 The representation of women in traditionally (in LEGO) male dominated roles is exciting, and the quality of the figures in this set is awesome. I would give this set four Arbitrary Praise Units out of five. If you like adventure, buy it! I will be looking more closely on at the representation of Women in LEGO City, in the post FRIENDS era soon: come back next week to see if the volcano line is representative of an overall swing in the minifiure gender mix, or just a one off. What are blue crystals inside lava globules? What is this mystical fantasy? This is not science.